A technique from Fabian von Auerswald. “Drill Bits” is a regular series of articles on drills for various HEMA styles. These drills can be worked into existing lesson plans and most can be easily modified for multiple weapon styles. The idea of vor, or the “Before Timing”, and nach, or the “After Timing”, is a fundamental concept of the Liechtenauer tradition. In short, the person in the vor is the person who seizes the initiative, and the person in the Nach is the person who is forced to respond to the opponent. For example, if Fencer B waits for an attack, and Fencer A strikes, then Fencer A is in the vor while Fencer B is in the nach. If Fencer B makes a purely defensive action, he remains in the nach. However, if Fencer B defends successfully and counters, he is seizing the vor away from Fencer A. Ideally, a fencer should attempt to remain in the vor when possible, and if forced into the nach, that fencer needs to regain the vor. The problem arises when people become so focused on a very narrow understanding of the vor, believing they are supposed to be attacking at all costs. This leads many to forget their own defense, causing double hits on both sides. 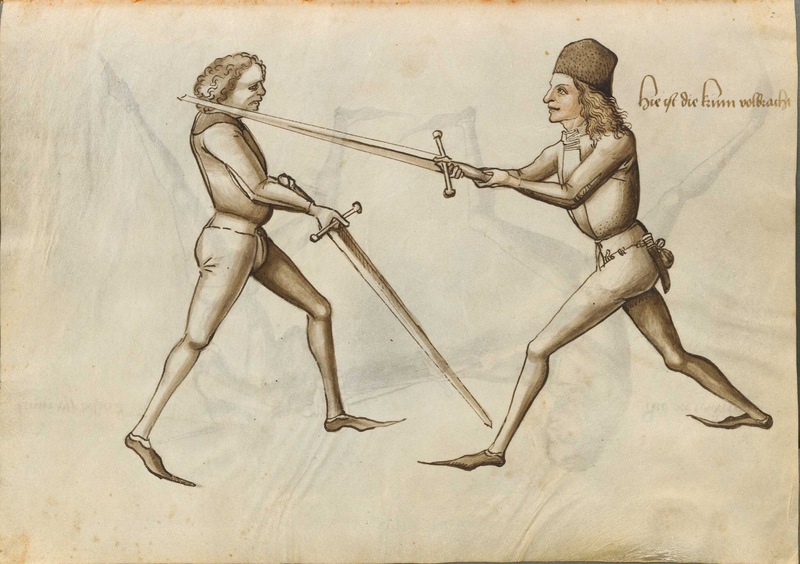 A fencer in the Liechtenauer tradition needs to understand that the position of vor and nach will naturally flow back and forth between the two combatants, and students need to develop a sense of who is in control of the initiative at any given moment. Merely being the first to attack is not good enough; a fencer must feel when the opponent attempts to regain control and therefore respond to it. A couple of weeks ago the New York Times published a wonderful piece on Longpoint 2014. The article included a well done video showing off the longsword event. Within a day, the article went viral, appearing everywhere from MTV to the front page of Reddit, and was being re-posted and shared by many other news sources and blogs. Celebrities such as Lucy Lawless (of Xena Warrior Princess fame) and even the MythBusters were linking to the article on Twitter and Facebook. The overall effect of this article was overwhelmingly positive. Public visibility was high and HEMA was shown in a professional and exciting light. HEMA groups all over the United States were reporting that they were being contacted by people who saw the Times video and started searching out groups in their area. My own school has seen numerous people seeking us out, and I myself ended up on the air of the east coast radio show Elliot in the Morning discussing the event and HEMA because they had seen the article. All in all, this was great publicity for those of us practicing historical fighting arts. 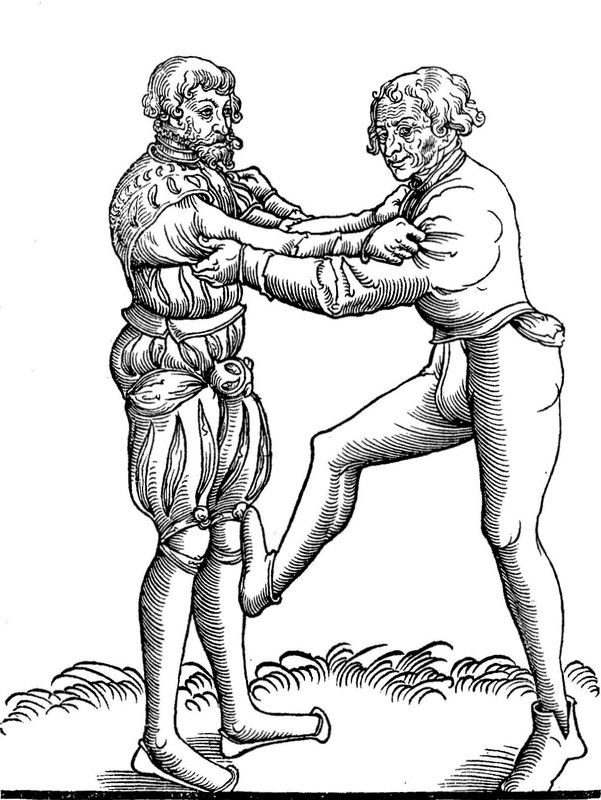 BladeFit is a reoccurring article showing quick fitness exercises for Historical European Martial Artists. These exercises can be worked into a fitness routine, used for your pre-class warm-ups, or just inspire you to start moving. Some will be modern-made exercises, while others will be more historically inspired. Is there ever really such a thing as owning too many swords? 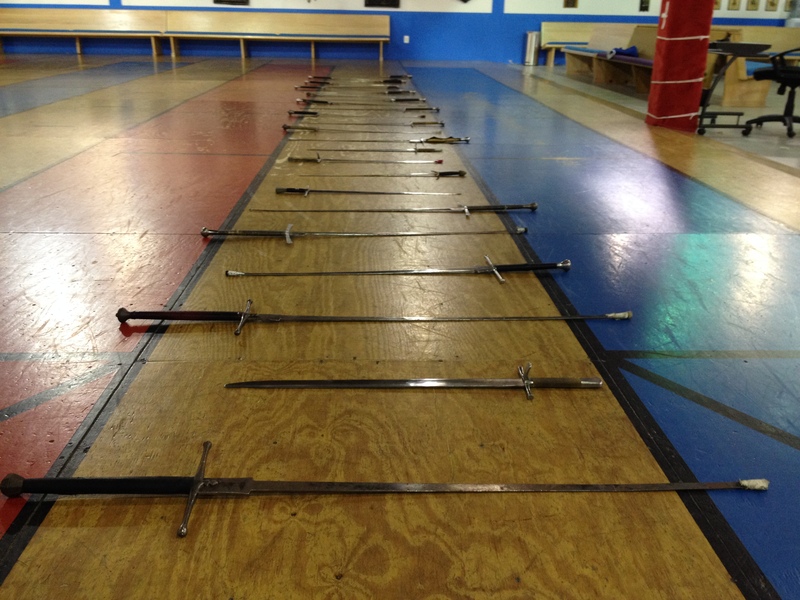 To start the Sword Ladder, lay out as many swords as you have available onto the floor, parallel to each other, so that you have a “ladder” that you will do exercises with. This is a good warm up for a full sized class where everyone puts down a weapon. You can do this with as little as four or five swords. Alternately, you can use dowel rods or even sticks and branches if you train outdoors. Once you have your ladder, the first and simplest exercise is to jog through it, making certain to never step on any of the swords. This exercise can be done with a commercially available running ladder, which is certainly a worthwhile purchase. However, having swords on the floor forces people to be much more careful about how they step so that they don’t trip, which is part of the exercise. Last month, from July 17-20, the fourth annual Longpoint tournament was held in Ellicott City, Maryland. This amazing event is one of the largest in North America, with tournament events covering a wide variety of HEMA styles. This year Longpoint hosted over 150 attendees and featured world class instructors, workshops, and multiple tournaments, including three Longsword competitions (Open Steel, Women’s and Synthetic), along with Singlestick, Messer, Ringen, Paired Forms, and a Longsword Cutting Tournament.